Will Yorkshire prosper under Brexit? 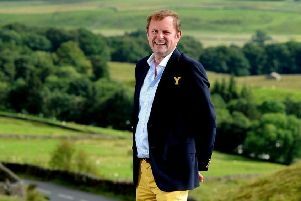 FIRSTLY, let me commend The Yorkshire Post for its even-handed treatment of the Brexit issue – in headlines, reports, features and publication of letters. It never ceases to amaze me how little Brexiteers understand about the EU and the many benefits it brings to ordinary people in this country. South Yorkshire in particular has benefited from the Regional Development Programme. The recent General Data Protection Regulation was an EU initiative. The EU stopped the exorbitant roaming charges on your mobile phones. Your correspondent Hilary Andrews (The Yorkshire Post, September 5) perpetuates the myth that the EU is “undemocratic”, without referring to any reliable source. The EU is every bit as democratic as the UK. The ultimate power resides with the European Council, comprising the prime ministers of member states – all democratically appointed. The UK has its say at the very top. The legislature consists of MEPs – all democratically elected. The EU presidency – compare with our monarch – rotates every six months so that all member states get a turn. What could be fairer than that? Does Yorkshire get a turn at Westminster? Seeing in The Yorkshire Post all the discontent at the treatment of the North by Westminster, wouldn’t we be better off under direct rule from Brussels? I think I might prefer that. Obviously, first we must stop Brexit! From: James Kenny, Westfield Road, Leeds. INSTEAD of taking pot shots at Jacob Rees-Mogg or Boris Johnson, your columnist Jayne Dowle (The Yorkshire Post, September 6) might ponder why the pro-Remain Civil Service is hindering Brexit and how it is that the NHS is so badly managed and funded. David Davis was given a token role as Brexit Secretary and it has emerged that he was continually undermined by his pro-Remain team and eventually forced to resign. The 52 per cent are being compromised and Rees-Mogg, one of a few politicians, like Davis, with conviction, is trying to redress the balance. He travels first class. Scandalous. The NHS is burdened by multiple scandalously expensive PFI contracts signed by Gordon Brown in a desperate attempt to obfuscate the true extent of the spiralling debt that the Labour government racked up. Not for the first time she bemoans the pro-Brexit vote that was so strong in her home town, calling yet again for a second referendum. Long on the blame game – short on solutions and a very short memory. OF course Bernard Ingham (The Yorkshire Post, September 5) is going to be highly critical of Labour under Jeremy Corbyn – he was Margaret Thatcher’s press agent after all! Really I’m disappointed in all the negative publicity the Labour leader gets, but I’m sadly not surprised. For he would challenge the lifestyle enjoyed by the well-to-do, who will fight to keep their vested interests. From: Mrs EH Bell, Newland Avenue, Driffield. HOW I agree with Dianne Fielding, (The Yorkshire Post, September 4). I inwardly fume when I regularly hear the comment “no one writes letters any more”. What a stupid, sweeping statement! I most certainly do write letters regularly; to friends in many different parts of the country where I have lived, to my son and family in Surrey, my daughter and family in Nottinghamshire, also one of my New Zealand grand-daughters now working in London. However, perhaps because I am now somewhat ancient (despite the fact that in another life I was a shorthand/audio typist latterly working at a very busy police station at Farnborough, Hampshire), I really struggle occasionally with TV problems but thankfully I have an extremely helpful, understanding neighbourhood family! I have kept numerous letters which I feel are absolute treasures, such as the one written by my father-in-law when he was in the Army during the 1914-18 war on the Somme; thankfully he survived, but I doubt his wartime experiences wouldn’t have done had they not been recorded, thanks to good old pen and paper! From: David Treacher, Nelson Road, Hull. MANY people do not know what to do when they have a serious difficulty and need an MP to speak to, but fear their representative will be too busy. But most MPs are in their own area each week and anyone can ring them and speak to them. Most have surgeries to speak to their voters face to face. In Hull West and Hessle, we have a smashing MP in Emma Hardy, who has time for people and spares time and deals with whatever is needed. Shortly she is going to have a “Big Conversation Event” and will go to several events each day for two weeks in her area. It is a pity some others do not do the same – people’s troubles might get sorted out much quicker than many do at present. Will Putin spy his chance? From: Eddie Peart, Broom Crescent, Rotherham. IF President Putin is the good guy in the recent poison attack scandal, as Russia claims, then he has an ideal opportunity to send the two suspects to London for trial.